Thanks for that link. I'll have to post it under my news link. What model is that violin Mad_Wed? I recently watched a show about this town and their violins. The quality is really good and getting better. I buy a lot of parts from china and have found the quality to be excellent. I hate to come off like the party pooper here but like anything that comes out of China these violins are not to be trusted nor would I be too quick to jump on the band wagon (pun intended) to support communist nations as such. They have a good track record over there of counterfeiting and that's well proven with one stop by Ebay look up Dominant strings you'll find one listing after another for counterfeit Thomastic strings on there,these violins well quantity over rides quality their motto for a business model is if its flawed who cares we'll deal with it latter send it out anyway. I suspect these factories hire a well trained luthier to produce some pretty good instruments that end up in the hands of people who they ask to write a review on or give their seal of approval and once that's done they replace the well trained luthier who was being payed well with farmers daughters who they pay seventy five cents an hour and really have no experience with violin building and the here comes the lesser quality crap. And what I've said is not an exaggeration I just watch a piece run by NBC on the subject which tells me to stay away from these instruments,I've got one sitting here right next to me in a case that is less than 4 months old and is already showing signs of crack on the top and to boot its never sounded like a violin and I doubt that it ever will. That's just my take on the subject. Its China man, Take out, lead painted toys, cheap bicycle motors, industrial espionage against the US, spying against the US, corruption etc...does any of this surprise anyone? Buy American? The worlds largest private employer wouldnt exist. Not that that would be a bad thing either but still. Now I want some Gen Tsos chicken and eggrolls, way to go, I got the munchies now! This is all true but at the same time they produce 70-80% of the worlds violins. The best Chinese luthiers work for a small fraction of what the European and American luthiers do. Fiddlershop has been offered a number of violins from different factories that would only cost us $20/piece. We would have to ship them in a container and buy a substantial amount to get the great price but some companies do it. I refuse to have those instruments at Fiddlershop because there are just too many problems with them. We would have to re-ream the holes and often put new pegs in. Further trim the bridges, change the tailpiece nylon (they strip easily), include extra strings (cheap Chinese strings tend to break), refit sound-posts...... Then the instruments are often pressed wood instead of real carved, graduated wood and spray varnished to the point where vibrations are dampened tremendously. Would end up costing us a lot more in the end and still not be a nice instrument. Unfortunately, these cheap instruments and greedy distributors and violin shops have created a bad reputation for Chinese instruments. I have tested instruments from just about every country who produces them in large quantities and can say that noone can compete with the Chinese dollar for dollar. The Bulgarian instruments come close. Wish things were different but who would spend 10,000 for a comparable instrument online at Fiddlershop? 10,000 would be cheap too for a completely hand made bench violin from a decent maker. My personal violin costs over 20,000 made by Jan Larsson in Lima, Sweden. You make an excellent point! It is the state of affairs our world is in and has been for some time. 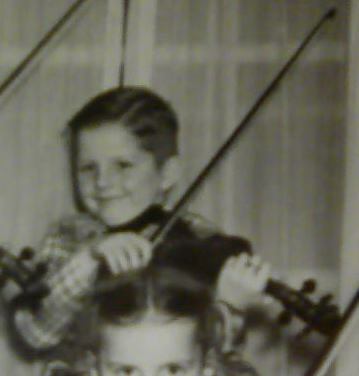 Im fortunate that my violin was passed down through the family. The only solution to the problem is that people should buy the best gear they can afford no matter where its made, probably from China. Then they need to be educated on what quality is. The Chinese also produce higher end models of instruments but cant flood the market with them because they do take a bit of "expertise" to build. (not that I would know) The positive is that many kids have an oppourtunity to try the instrument that maybe they wouldnt have had years ago. The negative is, cheap labor somewhere in the world will always be an issue. I have tested instruments from just about every country who produces them in large quantities and can say that noone can compete with the Chinese dollar for dollar. The Bulgarian instruments come close. Wish things were different but who would spend 10,000 for a comparable instrument online at Fiddlershop? 10,000 would be cheap too for a completely hand made bench violin from a decent maker. My personal violin costs over 20,000 made by Jan Larsson in Lima, Sweden. Now I am curious about what American luthiers charge. Mr. Jim - I know your 5-string was made for your at KC Strings in nearby Kansas City. About how much did it cost if you don't mind sharing that info? I am secretly hoping that one of these days I can drag my kids on a tour of the KC Strings shop... but then I know my son will beg for a cello... or a double bass! I just thought I would add this. I saw a mention in an old article somewhere once about how German violins were going to be the ruination of music and the violin, because they were factory made. They weren't being made by hand in some small shop independently owned and operated by a master craftsman. But for most of us, one of those old German violins would definitely get our attention as something to try, if we can afford it. China is just this year's Germany. Same story, about how mass production flooding the market is going to make the sky fall or something. But there is a market for inexpensive violins. I suppose there are people that would pay $1000 or more just to get an entry level instrument to try playing it. I am not one of them though. What got me to try fiddle/violin was seeing them going for about 35$ at the time on Amazon. At that price, even if it was unplayable junk, it would at least be an interesting story to tell. I didn't buy that one. I had enough experience with instruments to know that I'd rather avoid anything made of "composite wood" or "engineered wood", which are basically particle board or plywood. But that was what got my attention and got me thinking about getting one and giving it a try. Something still in the very low price ranges, but made of maple and spruce, wasn't hard to find and didn't cost much more. There were also some electrics that didn't run much more, and a year ago today, I was watching tracking and trying to figure out when my first fiddle/violin was going to get here. I know some others here went through a very similar experience waiting for an inexpensive instrument to arrive, it's a pretty common pattern we see here, so I won't indulge in more nostalgia at this point. But I think quite a few people have started playing or at least tried this instrument because of the availability of inexpensive instruments. Violins are just catching up with guitars. Same thing happened with guitars, especially from about the early 1980s, where inexpensive instruments "flooded the market" and the long term result was more people playing. As a musician, I have trouble seeing more people playing because they can afford to give it a try as a "bad" thing. One of my biggest concerns is about how old the wood is that these cheeeep violins are made from. If it is a new industry, can there be much old (75-100 years) wood? Well, you know the old saying, "you get what you pay for". Guys! Nobody forces you to buy something Chinese! 1) I probably couldn't start to play violin if there were no cheap Chinese awilable. 2) I currently play on Chinese violin - AK K550, and happy with it! 3) Demand creates the supply. From the few violins I've tried, I side with FM and Daniel on this subject. If you're buying a beginner or intermediate instrument from a reputable dealer rather than, say, eBay or Amazon, the Chinese violins are the best bang for the buck. They outclass the modern Bulgarian and German ones in the same price range. In terms of the violin industry, China has become the new Germany. If you're in Europe, you should still be able to find old French workshop violins in the same price range, which in terms of workshop/factory instruments were generally the best. Better hurry though, as the value of JTL and Laberte violins has been skyrocketing lately.